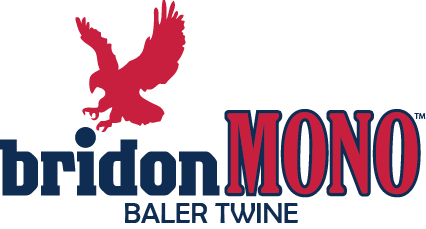 BridonMAX™ offers maximum baling productivity for customers who demand the toughest, maximum designed twine in the industry, guaranteed and American-made for more than 40 years. Visit our resources page to learn more or contact a representative below. BridonMAX™ is tested and guaranteed to exceed declared strengths and lengths – outperforming the competition. This means less down-time for changeovers and twine breaks. 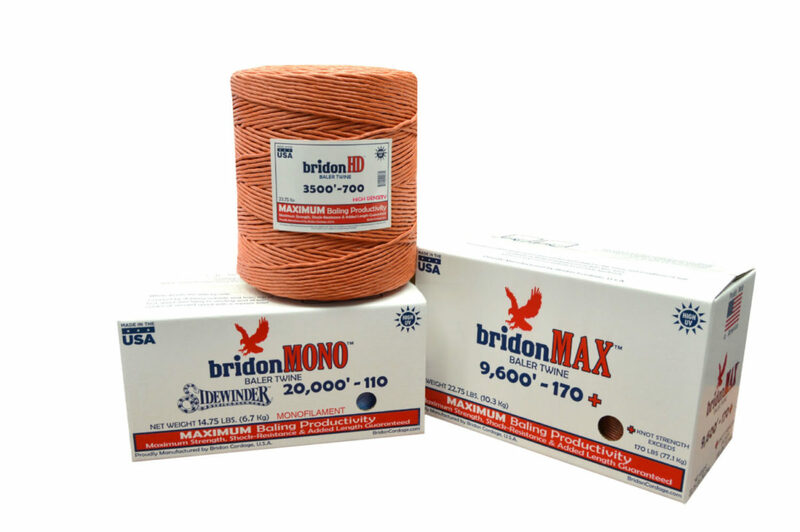 BridonHD™ is High Density twine with tested length that beat the competition and provides maximum strength, shock resistance, and UV protection. BridonMONO™ is Monofilament twine with tested lengths that beat the competition and provides maximum strength, shock resistance, and UV protection. * Box available upon request. † Endurance® spool height: 14"
‡ Eclipse® is designed to degrade when exposed to sunlight. Maintaining the global standard in quality management.